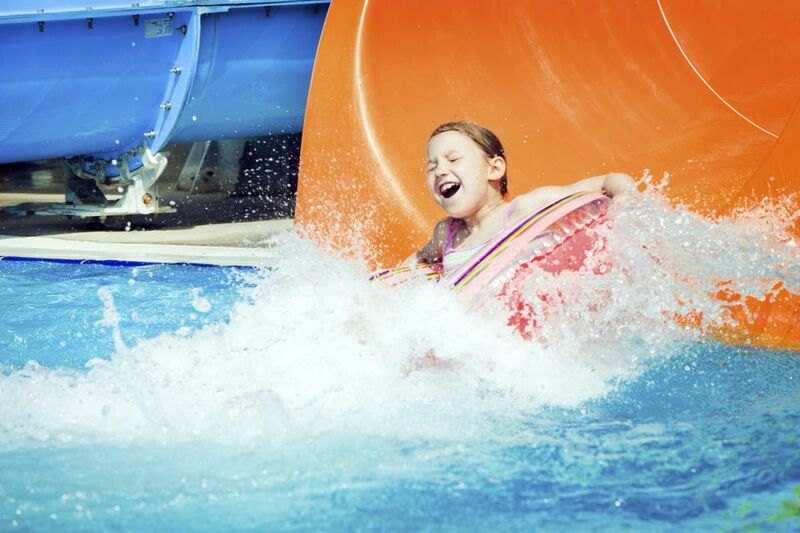 Whether it's January or July, it's always a great time to visit a water park. In winter, an indoor water park provides a break from the cold—fast slides and rock waterfalls soothe our winter blues away. Then, in summer, families flock to outdoor water parks, places where we can beat the heat in wave pools and man-made streams while still being outside, enjoying the Kentucky sun. About an hour away from Louisville, in French Lick, IN, Big Splash Adventure Indoor Water Park features 40,000-square-feet of attractions. This indoor water park includes water slides, inner tubes, a lazy river, and more. There is an adjacent hotel for families interested in staying the night. Less than a half hour from Louisville, Pirate’s Bay Indoor Water Park is at the Comfort Inn in Shepherdsville, KY. Visitors can enjoy an activity pool, multiple water slides, rock waterfalls, and more. The catch is Pirate’s Bay is open to hotel guests only. Perfect for a weekend of family fun for Kentucky families needing a night away or travelers driving through the state. Located in the city of Louisville, the theme park Kentucky Kingdom has a water park component called Hurricane Bay. Kentucky Kingdom typically opens for the season in April, but Hurricane Bay doesn't open for business until May or June. The park has a body slide, lazy river, tube slides, wave pool, and more. Families also enjoy beach chairs and lounge areas. Just across the river from Louisville, Atlantis Water Park opens for the season on Memorial Day Weekend. Although smaller than some others, Atlantis is a fun and affordable day at the water park. Tube slides, wave pool, and a kiddie area are all favorites. With rides, entertainment, and a water park, Holiday World is a combination theme park and water park. The water component features water slides, rapid rides, wave pools, and a lazy river. This attraction (the whole theme park and water park together) is one of the best in the region. Holiday World launches the season in April, Splashin' Safari opens in May. Part of the Louisville Zoo, Glacier Run is a nautically-themed water play area includes a fishing boat to climb on, dump buckets, mini water slides and more. It's a small safe place to beat the heat. Open seasonally, the splash park is included with admission to the Louisville Zoo.